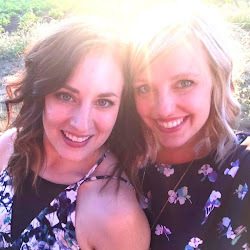 Recently I started a new job with PUNCH Event Marketing in Portland. I love my boss and my new responsibilities but I am still on a serious budget, therefore I am loving Groupon! I have already blogged about how I love groupons, but if you haven't already checked it out...do! 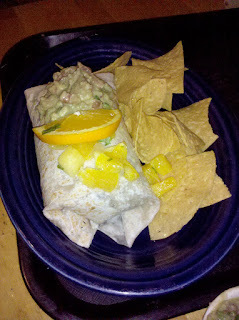 A couple months ago I bought one offering $10 for $25 worth of food at Santa Fe (a steal right?!) I finally remembered to ask Adam to print it and we tried it out. Living just off of NW 21st it is pretty crazy that we haven't made it here already, but now with our groupon we had extra motivation. After about 10 minutes of staring at their unique menu written on the wall we made some decisions and ordered at the front. 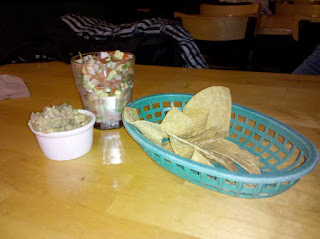 We shared the Ceviche appetizer and a side of guacamole ($2.75). This combination of shrimp, tomato, avocado, onion, cilantro, and lime juice was really good and probably my favorite thing we ordered. 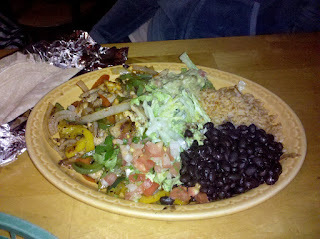 For my main meal I chose the Fajita Dinner ($9.50). A sizzling plate of peppers, onions, and chicken, paired with some sour cream, guac, lettuce, beans, and rice is never a disappointment! Served with your choice of black, pinto, or refried beans, and an option of corn or flour tortillas these fajitas are pretty great. Adam chose the Brazilian Wrap ($8.50) filled with rice, beans, spicy Brazilian meat, chipotle sauce and topped with a fruit salsa. The oranges balanced well with the spice of the meat and it was definitely filling! Finally, feeling happy that we were saving, we both got margaritas. I ordered the house marg and Adam went for a cadillac. The margaritas were good and finished our order out at $36. This means we paid $21 for $36 worth of food. Not too shabs! I am definitely looking forward to my next groupon experience!